Perforated window clings (also known as one way vision) are essentially the same as Perforated window signs. This distinctiveness makes the window signs to be a favorite application on many storefronts, churches, vehicle back windshields and such special areas. These perforated window graphics help you in displaying your advertisement with a sophistication and at the same time do not prevent you from viewing outside sight. Note: Like tinted windows, one way signs work more effectively when one side (where the sign is facing) has more light than the other side. From the darker side to lighter side, it will be clear vision and from lighter side to darker side, it will read the sign. Also, very light colors are less effective on oneway vision signs and perforated window graphics. The perforated window clings have pre-glued back which helps in easy peel and stick application. Perforated window decals are applied outside of the glass. These perforated window graphics are digitally printed at 720dpi to 1440dpi resolution in full color. Window banners and signs with more than 5 feet in Height and Width come in two pieces which helps in easy installation. 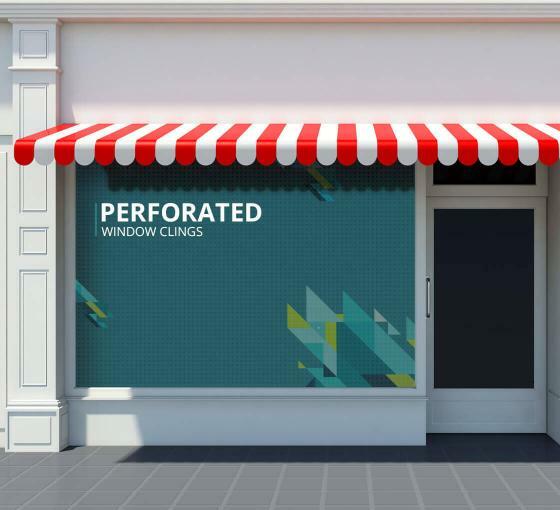 Perforated window graphics offer simple installation. 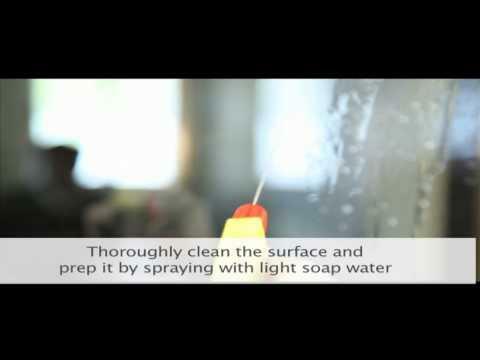 Many installation Videos are available on YouTube for reference.